EWF was my base of music when I was growing up… Thanks to Maurice White and my father , I was taught to appreciate Jazz which transitioned me into all types of music…. Thanks for the great music! Maurice white, thanks forMaurice white , thank you for introducing me and my family the meaning of music. Rest in peace and thank you for everything !! Maurice White and Earth, Wind, and Fire has been like Proverbs. There is always a message for life in the music. Maurice was a musical genius that has touched the hearts of millions for decades. Though he has moved to a castle in the sky, his ingenuity, which is EWF, will live for eternity. I was 7 when I listened to your music for the first time, and I immediately fell in love with it. After 43 years I still can’t stop listening to it. Maurice has been my first singing “teacher”, as I played over and over your records and tried to imitate his voice even if I couldn’t speak a word of english, today I’m a singer, thanks to him! Your music has accompanied me ever since, in good as well as bad moments of my life. God bless Earth Wind & Fire for being so inspiring to me. God bless Maurice for all the love he gave to us with his voice. The greatest most memorable concerts I have ever witnessed were every Earth Wind and Fire concert simply spectacular! when I heard the news of Maurice White, I froze and just did not believe it. It just seems like he should have lived forever. However, Im disapointed in that radio stations here in St. Louis have done a real tribute to Maurice and Earth Wind and Fire. I have not stopped playing the music since 1973. For me the world stopped. Earth Wind and Fire “be ever wonderful stay as you are”. To all Maurice Whites friends and family I offer my sincere condolences at this very difficult time.His passing has brought me to tears.As a HUGE EWF fan I know how deeply the effect the GENIUS of Maurice White has had on my life and many others.His music has touched my body,mind and soul and far more in so many ways, nearly impossible to put into words.God rest your soul Maurice and thank you so much for your music and love though my life.We have been truly blessed..Maurice White RIP. You will be missed, but never forgotten. From Chile, SouthAmerica. With his ebullient music, uplifting lyrics and peerless sense of spirit, Mo was one of a kind. – and I get the sense that he was for real; a genuine good guy. How many of those really make it to the top??? I grew up in the 70’s & 80’s and was very appreciative and aware of EW&F all of my life, but only recently as a middle aged adult did I get the full-on message. Sometimes it happens that way. I believe a late awakening is better than none. A sign? Who knows, but I am so engulfed in the world the late great Maurice created right now, I can feel his love of life touching and thus enriching my own. But then again, that was his mission, to make the world better, and he knew it starts with the people. Look at all the people he touched above my comments on this page! Do you hear me up there Maurice? You did it, and then some! God had a special place reserved for you, and now it’s yours. You earned it. You are a dear friend i only knew though you’re music. I had many bad days as a child, teen, and young man. But your music took me to a world of hope, love, peace, and the belief in a brighter tomorrow. I have always kept EW&F in my life, my son knows you and how much your music helped me. Guess what! Im happy now and you played a big roll in my life. God has you in His care and its truly all about love!!! I love all of you, you’re my family always have and always will be. God bless and keep all of you! Maurice was simply of the rarest types of talent. Few will come along that will be able to say so much and with such eloquence. Gracias por la pista musical de mi vida….seguro que allá arriba estarás poniendo música al cielo…. Se nos ha ido otro genio :'( Pero gracias a Dios su música estará ahí para siempre, su gran legado para el mundo. Gracias por todos los buenos momentos, Maurice, y ánimo al resto del grupo. You’ll always be our Shining Star. Maurice White ad EWF are truly the soundtrack of my Life…thanks for the music!!!! Since I, the 8 year-old kid at that time, listened to your voice, my life has been changed. Due to the moment I could meet my beautiful wife, friends, and family. Whenever I feel happy and sad, your music has been always there for me. May Your soul lay down in the heaven, and I’ll pray for you and your family. I was lucky that I listend to your voice from the analog radio 29 years ago. Thank you, and good bye..
EWF members strength and peace during this very stressful time.. I love you Maurice and EWF. Thank you for sharing your gifts. Maurice White the guiding Light behind Earth Wind and Fire the most influential R&B Funk Soul Band there will ever be. with Verdine White my Idol on Electric bass . There are no words…ever! Just the music and the joy you brought to millions of people. You will be forever remembered. SMILE WORLD BECAUSE MAURICE MADE IT JUST A LITTLE BETTER!! Maurice and all the members of Earth Wind & Fire, I’m speechless over the death of Maurice, I owe you much. Thank you for making me a better soul. May god be with you all. de m avoir accompagné avec Earth wind and fire tout au long de ces années. Merci d avoir été si créatif et de m avoir apporté tant d émotions à travers votre oeuvre..
Maurice White and EWF is part of my life since my uncle invited me in the marvelous world of fantasy, spirit and inspiration. This was in the last period of the 70ties. Hopefully my uncle and he will meet and have fun with his music. MY PROMIS to Maurice is that i will SIGN ON my life with the spirit that LOVE GOES ON after YOU WENT AWAY from here. But i n my FANTASY i will meet him again to listen his SPARKLE music. I have been a fan of Earth Wind and Fire since 1973. I first heard Head to The Sky and was instantly hooked. Even though I had great family role models my life growing up, I must admit Maurice White was also a major hero for me. His approach of excellence in music, positive influence and passion for music were just a few traits that made him an influence for me. His contributions and influence to music is wider than most realize except us die hard fans. He took us all on a musical journey and exposition at the same time planted the seed of understanding and love. Maurice White and Earth Wind and Fire have and always be the standard that I measure music against. We will all miss his presence but know that his “Spirit” soars and will continue “To Be As One in Love” with the group and fans. “Head To The Sky”! As a kid I never heard of Earth, Wind & Fire until my uncle give me the All and All Album while visiting N.Y. I listened to it over and over again. Then purchased all the prior albums. The music spoke to my soul and I have been in love with Mr. Maurice White and the band ever since. I was fortunate to see Mr. Maurice White with Earth, Wind & Fire perform in Cola, SC in the 80s. It was the best concert I ever went to, it was so beautiful and spirit filled. Keep Your Head to the Sky, Shining Star and Be Ever Wonderful are a few of E,W & F songs that guide my life. Mr. Maurice White has such an amazing legacy for the music he created teaches, encourages, inspires love and living life to be the best you can be. It’s also reminds us of a high power Who is love and loves all. 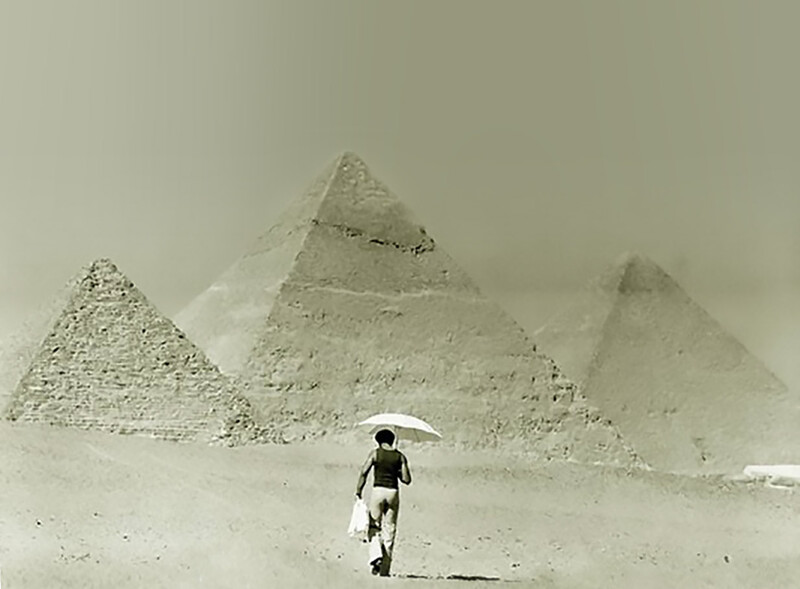 We are so blessed that God saw fit for the soulful being of Mr. Maurice White to walk among us. I forgot to add….thank you for introducing me to jazz music! The solos on Gratitude really were my first appreciation of the improvisational form and American classical music as well as fusion! From EWF I went to George Benson’s pop jazz, Grover Washington, some fusion artists, then got deep with Weather Report and they were my connection to Miles, Trane, Monk, Lee Morgan, Horace Silver and Wynton.. From then on I’ve become a huge jazz fan….but it started with EWF! Thank you Maurice! Maurice’s vision for Earth Wind and Fire elevated black music to great heights of sophistication. No longer would R&B music be relegated to the sidelines in favor of rock bands worshipped by industry and fans who undervalued the complexities of black music and the skill to play it. With EWF aspiring black musicians had a template of their own to emulate. I was born in ’68 so the musical sophistication was slightly out of reach for my seven-eight-nine year old ears. I did know the music was good. It was always in the back drop of my youth. My sister’s nickname was based on an EWF song (“Shannon Star”). My alltime favorite Open Our Eyes played on Sunday morning R&B inspirational playlists. I remember her asking my father what “Serpentine Fire” was. One of the first records I bought was Gratitude at a garage sale when I was nine. I saw the misguided Pat Robertson on the religious PTL Club hold up the All N All album cover and call it devil worship music. As I grew older I was able to key in on the feel good vibe. I was enchanted by Let Me Talk, Side by Side and Fall In Love With Me and I enjoyed Magnetic. At 18, I purchased Touch The World because I loved the new freshness of System of Survival. I went back and bought the two greatest hits albums and the love affair continued with the Eternal Dance compilation where I really soaked up the genius discovering the early 70s catalog for the first time. Maurice (in tandem w/ the band) upgraded black music and gave it a prestigious vibe that was on par and surpassed pop and rock bands. He birthed future aspiring musicians and fed the energy of young listeners with a complete package (mental, physical and visual)that fuels my soul today at 47 years old. Thankful for EWF and grateful for the courage, commitment and talent of Maurice. If I could harness 50% of my gifts the way my fellow Sagg maximized all of his, I would be a better man for it. Anyone who knows me knows I love, love LOVE Earth, Wind, and Fire. Your music has been so much a part of my life.Maurice, we love you and will miss you. Thanks for sharing your amazing gift with us, for touching our hearts and souls, and bringing so much joy. Your spirit will continue to be respected and appreciated just like it was and is now through the music you and your band have created together over all these years. He wrote and sand songs that had the meaning of life. In each song, I am carried away to a time and a place whose memory is strengthened by the lyric and song itself. EWF and Maurice’s vision of love shall live forever as love is all that truly endures thru time. He was a gift to the world. Lembro do início dos anos 80, eu um adolescente, adorava ouvir e dançar as músicas do EWF, O céu está alegre, pois Maurice foi um ser humano que sempre levou alegria para todos! Descanse em paz Maurice White, pois você é eterno em nossos corações, sãos os votos de um grande fã seu, aqui do Rio de Janeiro (Brasil). A true legend and musical genius. It has been amazing to see the outpouring of emotion caused by the death of the irreplaceable Maurice White. For me like many the music of EW&F has been a constant source of joy for 40 years. Somebody described the music as a friend which is how I feel. The music has accompanied me along life’s journey. There always seemed something new and innovative about the music Maurice created and amazingly it still sounds as fresh now as each album did back on its release. Every time a new album was released I would sit and study the cover of each album obsessively looking to see who had been involved in creating these amazing gems. The artwork was always incredible too – befitting the music contained within. I was lucky enough to see the original lineup and will always remember those nights. Maurice’s voice will always be with us even though the man will not. The world is a more impoverished place without him. RIP. Born as a little “whitebread” in the beginning 70’s in west Berlin and embraced by american music played by AFN where ever i was going i discovered many facets of what most of the people called black music. While hearing to my radio being an 8 year old little boy my feet got caught by that one piece of music that blew me away…got to get you into my life! Since that moment EWF defenitly was part of my musical life and a newer endling love until today, always listen to that mezmerising voice of Maurice. It helped me many times when my own way took deeps or wrong turns and brought me back to live, and last but not least to beliving in a higher spirit. By that way i want to say thank you maurice and thanks to all the members of EWF today and then as well for giving us this great music. My heart is weary today and Maurices passing brought tears to my eyes. I’ll take my old turntable out and light the sleeping flame of love! Never forget you Maurice! Az o zenéjuk nekem a legjobb és egész életem során elkisér ,Aki ilyen zenét elotudott állítani az egy geniusz volt . Nyugodjon békében!!!!! Die Music von Maurice White und Earth, Wind and Fire begleiten mich seit meiner Kindheit. Alle euren großartigen Songs habe ich unzählige Male gehört und noch immer – genau wie damals – bringt eure Musik ein positives Gefühl und lässt einen mit Leichtigkeit durch den Tag kommen. RIP Maurice White and thank you for the music. Grande Maurice, lasci un grande vuoto in me ed in tutti quelli che hanno avuto la fortuna di conoscerti ed ascoltare la tua musica. Rimarrai per sempre nel mio cuore e sei già nelle mie preghiere.